Beginning a new year – where I am going next. 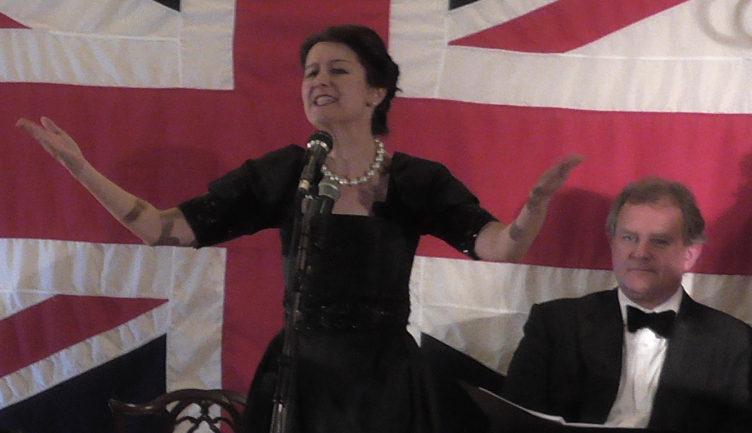 FJW performing WW1 memorial concert “To End All Wars” with Hugh Bonneville. 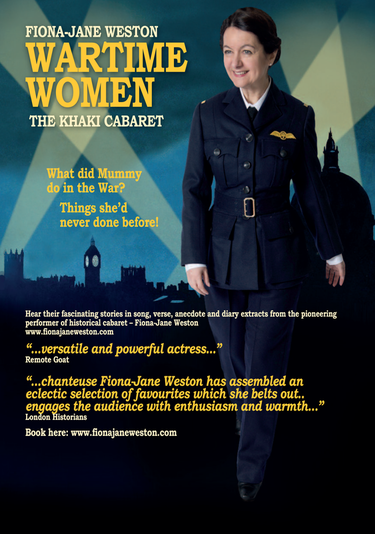 This will only be brief, just to remind you of a couple of February dates for Wartime Women: the Khaki Cabaret. If you are nearby, do come along and have a drink afterwards – and remember to let any friends in the area know about it too! I was delighted to interview 100 year old Pat Slade earlier this month and talk with her about her memories of World War 2. I made a voice recording and when I get to grips with the technology (never my strong point! ), I want to start a podcast for these interviews, so if you know anyone who might like to share her experiences with me, or if you want to tell me about your family members, please do get in touch. It is so important we record these women’s stories before it’s too late. Film of WW1 nurse Vera Brittain’s “Testament of Youth”. Read my review. To book your ticket, simply visit my website: www.fionajaneweston.com Or via the theatre websites. This entry was posted in Fiona-Jane Weston news and views and tagged fiona jane weston, Rondo Theatre, Sarah Thorne Theatre, Testament of Youth, Vera Brittain, Wartime Women: the Khaki Cabaret. Bookmark the permalink.